Teach Home Economics or Industrial Arts in elementary or secondary schools. Home Economics focuses on the family unit: ecosystems, consumerism, living environments, financial management, politics, and clothing and textiles. The hands-on, practical courses are perfect for teaching these traditional skills. Industrial Arts focuses primarily on industrial skills training such as computer assisted drafting, cabinetry and construction, welding, electricity and electronics, and mechanics. To complete this program, you will take the 10 required courses plus 2 elective courses, depending upon your specialization. The University of Saskatchewan is the only institution in the province where you can access the courses necessary for certification as a teacher in Practical and Applied Arts. 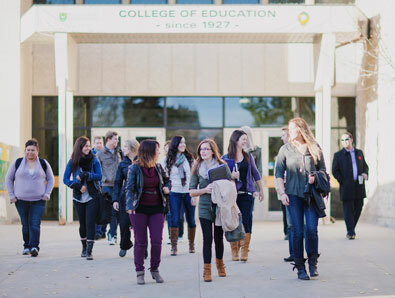 The U of S offers a program that provides you with the background to assist students with an interest in attaining practical knowledge in the applied arts and is the program for you if you enjoy a combination of theoretical and hands-on education. In addition to being able to teach practical and applied arts in schools, you'll also be able to apply to the Ministry for advanced salary class standing through certificate opportunity. The Certificate in Practical and Applied Arts is offered by the College of Education. post-degree Education students who hold a Bachelor of Education degree and valid Professional ‘A’ Teaching Certificate. Admission is based on special case admission review. Note: This certificate is not available to those with a B. Ed. who have previously completed a Home Economics or Industrial Arts teaching area.